Installation view Hélio Oiticica: To Organize Delirium ( July 14-October 1, 2017). Whitney Museum of American Art, New York. Opened on July 14th and is on view until Oct 1st, Hélio Oiticica: To Organize Delirium at Whitney Museum of American Art is the first retrospective exhibition of the Brazilian artist Hélio Oiticica who is well-known in his country but less-known in the US. 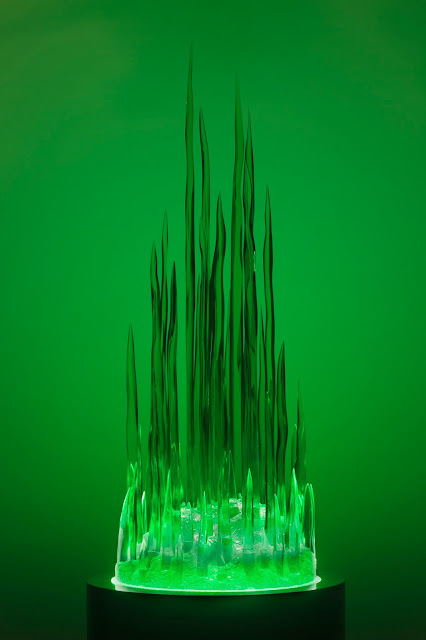 Organized with the Carnegie Museum of Art and the Art Institute of Chicago, the exhibition comprises paintings, interactive sculptures, immersive environments, films, audiovisual works, and writings. Curated chronologically and grouped by themes, the exhibition begins with Oiticica's geometric works on paper made during 1955-58. 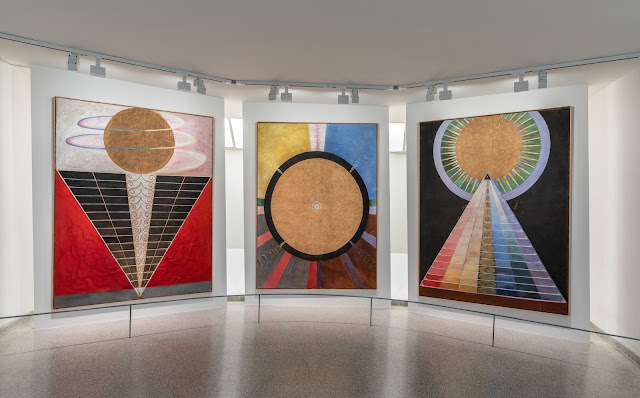 His early exploration of color and form reflect his initial interest in art and first impression when he saw works by Paul Klee in the National Gallery in DC, where his father temporarily moved the family to the US. In time, his formalism would depart from his initial interest in Klee. Extending beyond the two-dimensional, his work gradually evolved to focusing on time and space. 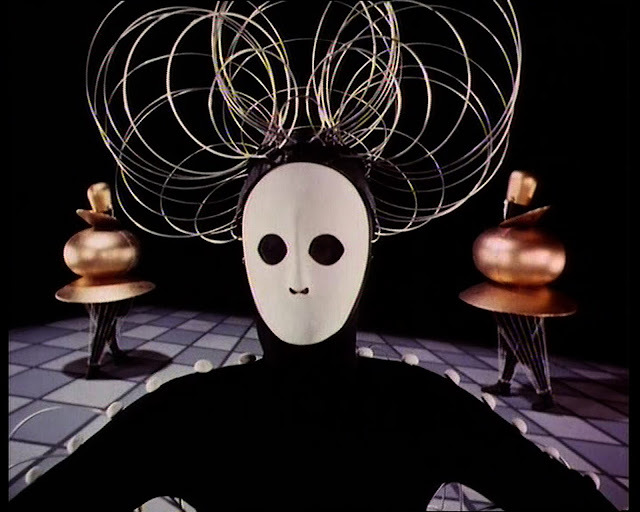 The artist's formal investigations later led to him to produce series of Spatial Relief (Relevo espacial) and Nucleus (Núcleo) in the 60s. Made of plywood, the reliefs are something between painting and sculpture. 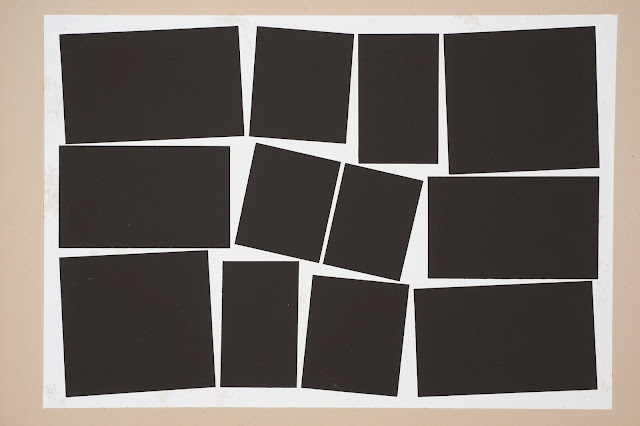 Rather than shifting geometry on paper, the shifts occur in the assembling and piecing together the shapes. The finished work would often integrate with the architecture, such as the wall or the floor. Meanwhile, his "Nucleus" works take the notion of space and time further by the introduction of immersive and interactive experience. They mark the beginning of what Oiticica would best be remembered- an artist who defied the traditional notion of the static art object. (Hélio Oiticica: To Organize Delirium, July 14-October 1, 2017). Whitney Museum of American Art, New York. Photograph by Matt Casarella. Installation view Hélio Oiticica: To Organize Delirium (July 14-October 1, 2017). 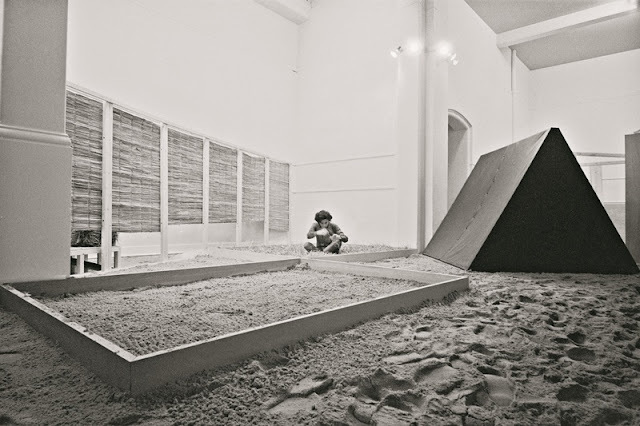 Hélio Oiticica (1937-1980), installation view of Eden (1969) at Whitechapel Gallery, London, 1969. In 1969, Oiticica constructed Eden (Éden), an interactive installation for his exhibition at Whitechapel Gallery in London. It was the artist's first major solo exhibition and his last during his life time. Consisted of materials that could be found in ordinary life, the large-scale installation used crushed bricks, sand and water onto which viewers were welcomed to walk though. 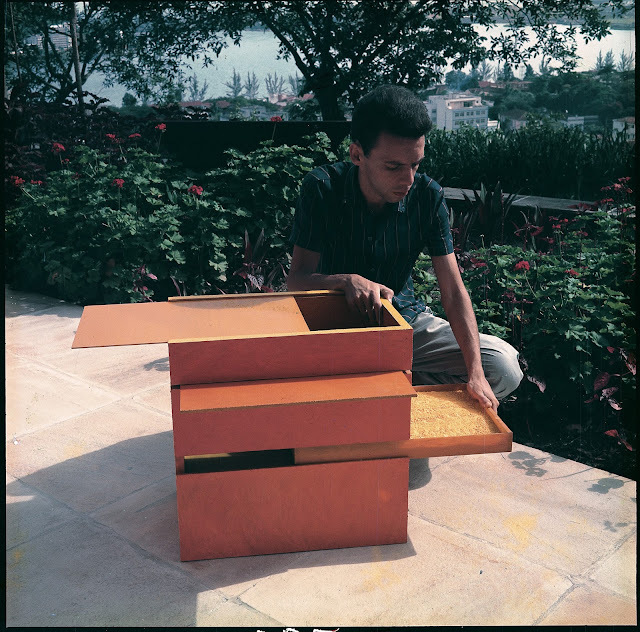 The Box Bólide (Bólide caixa) and the Penetrable (Penetrável) that Oiticica first produced in the mid 60s also re-appearred. Bólides, translated as "fireballs" are moveable wooden constructions that contain organic materials that allow viewers to touch. In the original version, they usually contained powdered pigments, crushed bricks, and earth. 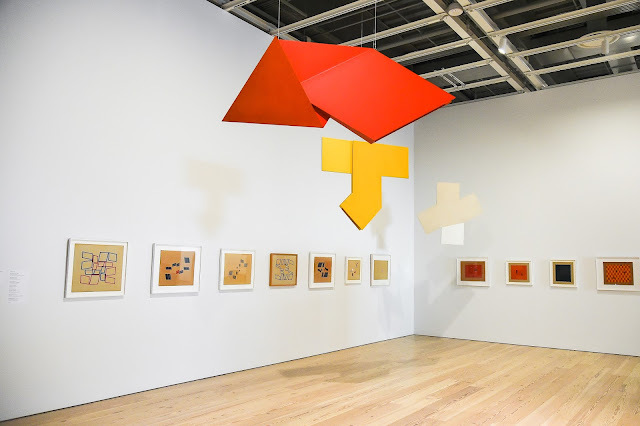 Oiticica referred to them as "transobject" because these Bólides transformed whatever substance it contained from ordinary objects into art objects. For his ambitious work, Eden, the "Bólide" are seen as expanded versions of the previous that serve as nests and provide beds for the viewer's private contemplation. Each Bólide is covered under a thin white fabric that looks like a mosquito net, filled with straw, canvas mattress, foam or cushion. Through the interaction with his work, Oiticica would allow each person to find his and her own inner freedom by improvisation and relaxation. 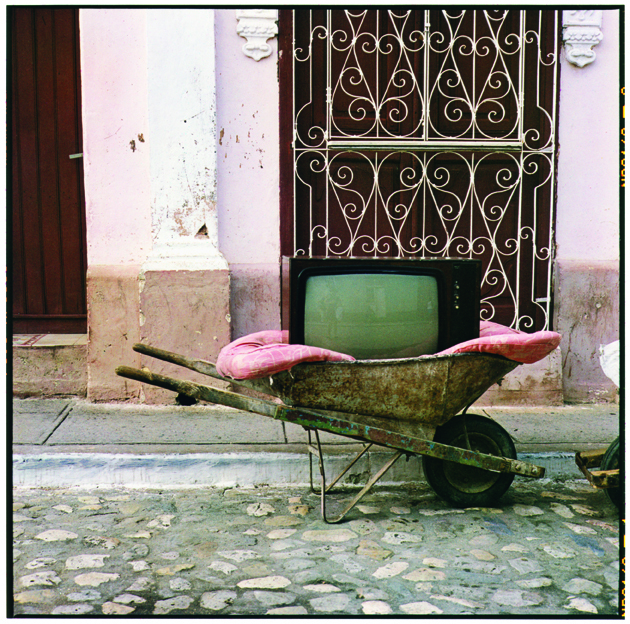 This work defines what the artists coined as "cretleisure," according to him, leisure is essential to creativity. 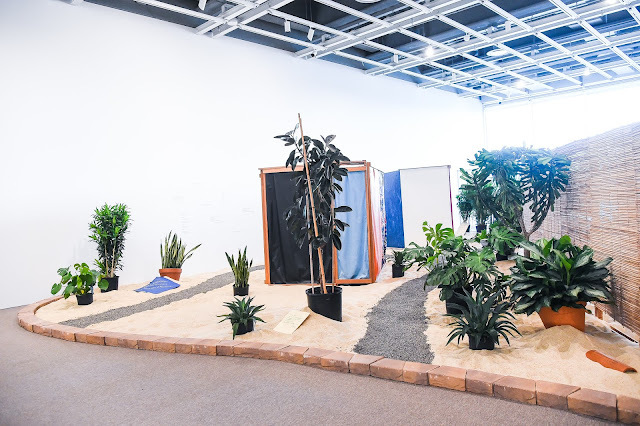 Installation view, Bólides and Life and Politics by Hélio Oiticia (Hélio Oiticica: To Organize Delirium, July 14 - October 1, 2017). Whitney Museum of American Art, New York. Photograph by Matt Casarella. 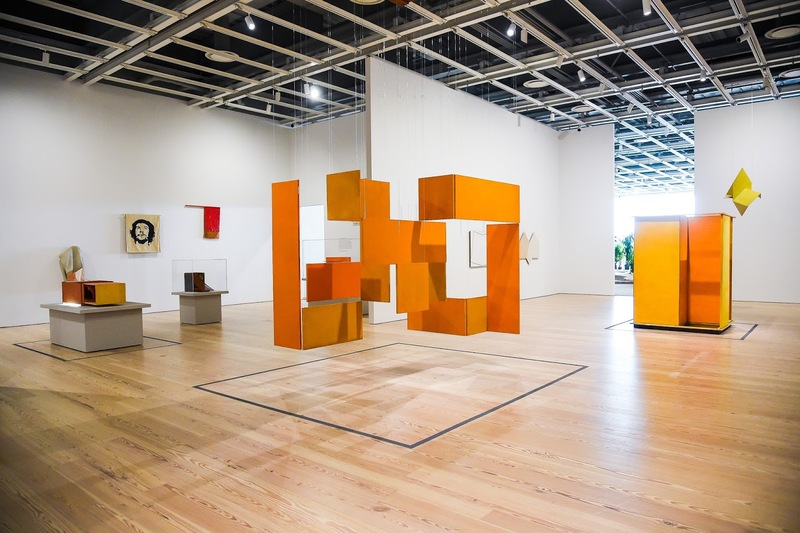 This is the most comprehensive retrospective exhibition of Hélio Oiticica, its inclusion of works produced during his years spent in New York is one of the unique features, even though not mentioned in detail here. In his short career, Oiticica explored and used a vast array of mediums and relentlessly sought new challenges. His works are both personal and political. Here, I have decided to look at the works only from a formal perspective, however, their social political context should not be ignored. His works are important and memorable because they are relatable to people with various degrees of artistic and political understandings. 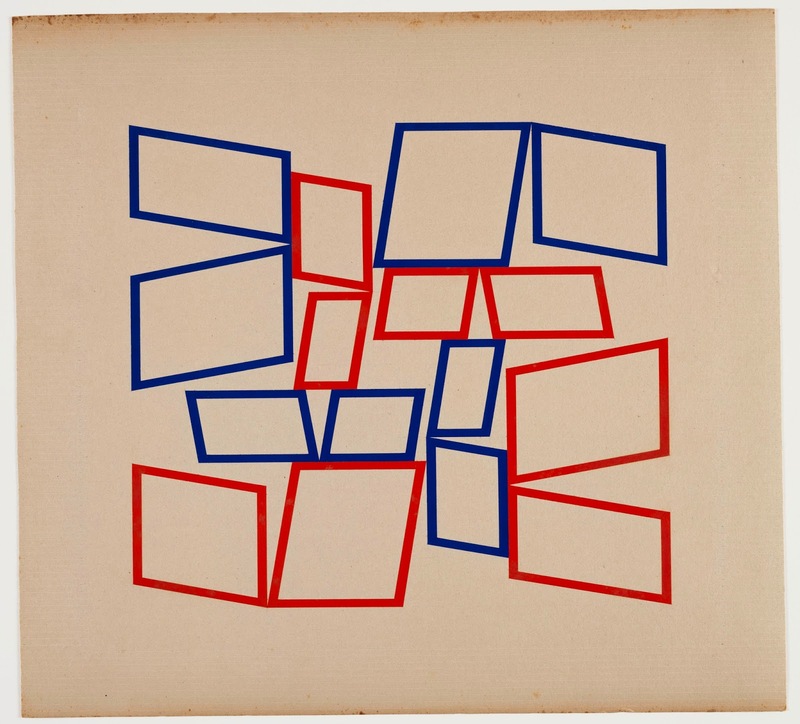 Never didactic, Oiticica's works manifest his intellectual as well as intuitive sensibilities. 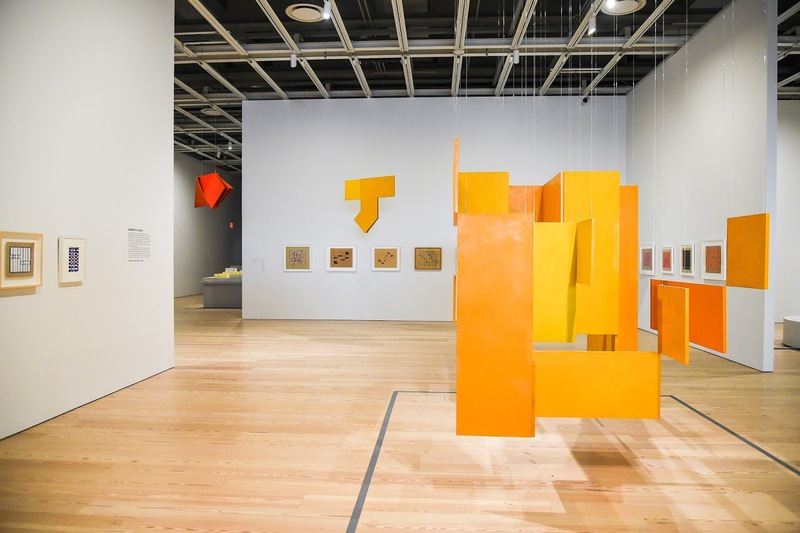 The current exhibition at Whitney Museum of American Art traces Oiticica career by making conceptual and intellectual connections linking together different phases of his artistic practice. It is organized in such a way that emphasizes the artist's progressive development as his intellectual quest to freedom. I’m not positive where you are getting your info, but good topic. I must spend some time learning much more or working out more. Thanks for great information I used to be looking for this info for my mission.